Appealing Trial Court's Interpretation of Contract - В сложной финансовой ситуации приходит на помощь кредит наличными в Казахстане. Many disputes turn on the interpretation of a contract, contractual term, or written document. When the trial court rules on the interpretation, there will typically be a party that disagrees with the court’s interpretation. In these instances, this party will appeal the trial court’s interpretation. There is a value to appeal because the appellate standard of review is de novo meaning the appellate court will review the trial court’s record anew without giving deference to the trial court’s interpretation. The interpretation of a written contract is a question of law and the appellate court construes the contract under a de novo standard of review. 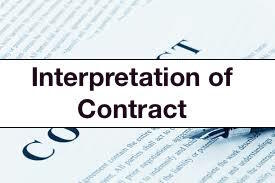 Notably, construction of contractual terms is a question of law, which we review de novo, provided that the language is clear and unambiguous and free of conflicting inferences. Ciklin Lubetz Martens & O’Connell v. Patrick J. Casey, P.A., 41 Fla.L.Weekly D1678b (Fla. 4th DCA 2016 (internal quotations and citations omitted). For example, in a dispute concerning a law firm’s partnership agreement as it pertains to the withdrawal of a partner, the trial court made an interpretation of the partnership agreement that resulted in certain amounts being awarded to the withdrawing partner. The law firm appealed the trial court’s interpretation and the appellate court, examining the partnership agreement under a de novo standard of appellate review, reversed certain interpretations by the trial court. This is because the appellate court was able to examine the partnership agreement anew without providing any deference to how the trial court interpreted the partnership agreement.